On Saturday night in Las Vegas, heavyweight champion Stipe Miocic will put his title up for grabs against light heavyweight champion Daniel Cormier in the main event at UFC 226. This is only the third time that two current UFC champions have faced off inside the Octagon, which stands to reason why this is such a marquee fight for the promotion. Can Miocic continue his reign atop the heavyweight division by showcasing his fight ending power and using his size advantage to beat Cormier? 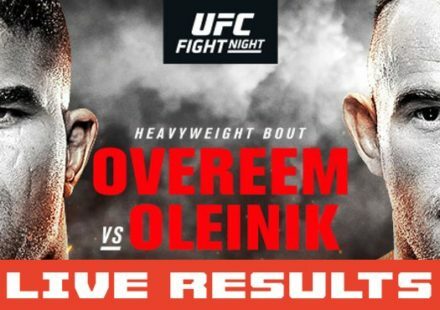 Or will the light heavyweight champion prove that he is the ‘baddest man on the planet’ by taking out Miocic with his signature wrestling and a tireless pace that few can maintain over five rounds? Even former middleweight champion Michael Bisping and multi-time title contender Kenny Florian, who will be working as analysts on FS1 during UFC 226, have differing opinions on how this main event will play out on Saturday night. “Obviously Stipe has been incredibly dominant at heavyweight. Arguably the greatest heavyweight that has ever done it inside the Octagon. I think he definitely has the power advantage, and I also think because of his wrestling background, it’s going to be very difficult for DC to take him down consistently,” Florian explained when speaking to MMAWeekly. “However, I think DC’s going to have the speed advantage. I think DC’s going to go into this fight with full energy. He doesn’t have to cut down in weight. I think he’ll be effective enough with his speed and combinations to be able to land and get out. I also think just mixing in the takedown and just having that threat of the takedown, can shut down a fighter’s offense. Just about everybody breaking down this fight believes that wrestling will play a massive part in the ultimate outcome. Cormier has been such a dominant force with his grappling throughout the course of his career that it’s difficult to see how that doesn’t become a huge factor in this fight. As for Miocic, his ability to stop Cormier from taking the fight to the ground will probably be a big indicator on his ability to stifle the light heavyweight champion and force him into a striking battle on the feet. “I think it comes down to one thing — can DC take him down?” Bisping said when speaking about Cormier’s wrestling. 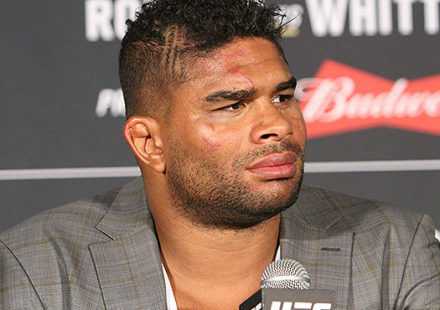 “If he can’t take [Stipe] down, I honestly can’t see how he can win the fight. On the feet, obviously Stipe’s much taller, much longer and I would say probably the better striker as well. DC has very effective striking but Stipe’s boxing is better. But it doesn’t matter how good of a boxer you are if you get taken down. For that reason I think the ‘X’ factor is the wrestling. Can he take him down? Bisping admits it’s tough for him to pick against Cormier because the reigning light heavyweight champion really has become a legend during the course of his career but he might finally be running into a challenge that’s too big to conquer. 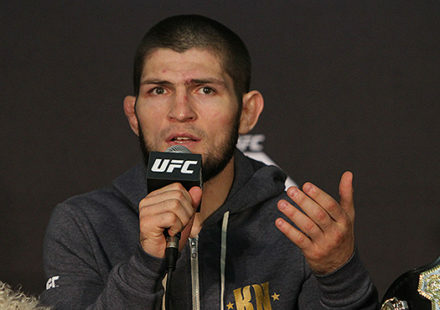 “It’s very difficult for me to say that cause I think the world of Daniel Cormier, I really do. He’s an incredible fighter, far be it from me to be critical of someone so great but you’re asking me, there you go,” Bipsing said. It all comes down to Saturday night in Las Vegas as Miocic faces Cormier in the main event at UFC 226 with the main card kicking off at 10 p.m. ET.